The two-time Olympic gold medallist from Cheltenham shared a photo of his blistered hands on Twitter that has left many social media users shocked. "When hands that do dishes..."
“My hands after spending so long in wet gloves.The blisters were never bad on this Polar row, but the wet & damp seeped into the skin,” he wrote. One called it the “rowing equivalent of trench foot”, while another compared his hands to “old knackered gardening gloves”. The Polar Row team set off seven weeks ago with the aim of completing the first ever South to North row in the Arctic. They planned a two-stage Arctic expedition, first travelling from Tromsø, Norway, to the town of Longyearbyen in Svalbard. 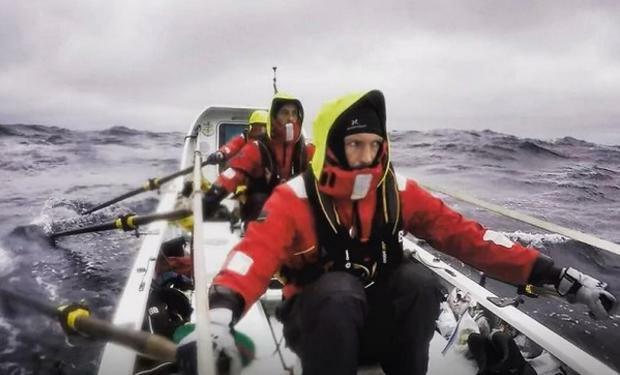 However they were forced to abandon their record-breaking expedition on the second leg, from Svalbard to Saudarkrokur, Iceland, after becoming stranded on a remote island following complications with their boat. “I've never been so wet and cold for so long,” Gregory said. “It's seeping into my bones, there is absolutely no escape from it. “Everywhere we look beyond this tiny boat we've been living on is ice cold, dark grey ocean. Despite ending the expedition early, the international team of rowers still secured 11 out of 12 world records after setting out to become the most record-breaking manpower team in history.